This Italian sulfur-free modeling paste is highly malleable and resistant to heat. The material has nearly unlimited storage and can simply be softened with vegetable oils or water to recall its initial characteristics after long periods of storage. Plaxtin Modeling Material by Fiaba - Soft - 0.5 kg. Plaxtin Modeling Material by Fiaba - Soft - 1.0 kg. Plaxtin Modeling Material by Fiaba - Medium - 0.5 kg. 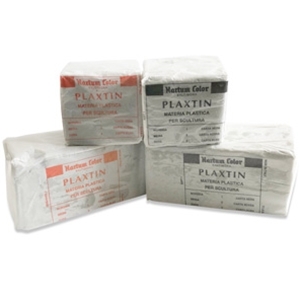 Plaxtin Modeling Material by Fiaba - Medium - 1.0 kg.